Getty ImagesNorth Korean cargo Chong Chon Gang. North Korea has managed to build nuclear weapons and intercontinental ballistic missiles while surviving some of the toughest sanctions ever imposed on a country. This has led the US to think about increasing the scope of maritime interdictions of suspicious ships around the Korean Peninsula. The success of such operations will be limited, given the likelihood that important countries like China and Russia would not participate in or allow interdictions in international waters. The US is reportedly talking about expanding crackdowns on North Korean ships, along with allies such as Australia, Japan, Singapore, and South Korea. 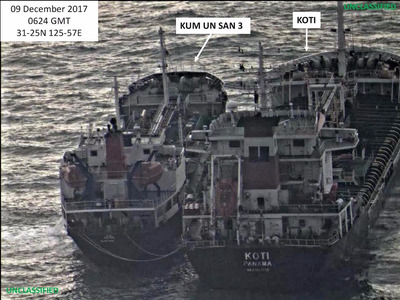 North Korea currently uses ship-to-ship transfers of sanctioned materials – sometimes in ports and sometimes in international waters – to evade sanctions from the international community. The UN Security Council has passed at least nine resolutions that imposed sanctions on North Korea, and Australia, the EU, Japan, South Korea, and the US have all placed additional sanctions on the country. Russian and Chinese ships have recently been caught exchanging goods and resources in ship-to-ship transfers, as has a ship registered in the Maldives. The new efforts would expand the scope of the interceptions to possibly include searching and seizing North Korean ships in international waters. Currently, nations only have the authority to conduct these operations within their own waters, where North Korean ships that break sanctions rarely travel through. “There is no doubt we all have to do more, short of direct military action, to show (North Korean leader) Kim Jong Un we mean business,” a senior American official recently told Reuters. But the effectiveness of such operations is likely to be limited, Richard Weitz, the Director of the Center for Political-Military Analysis and the Hudson Institute, told Business Insider. If any maritime operation were to succeed, Russia and China would likely need to be physically involved, conducting joint patrols and interdictions on the Korean Peninsula with US and other regional navies. 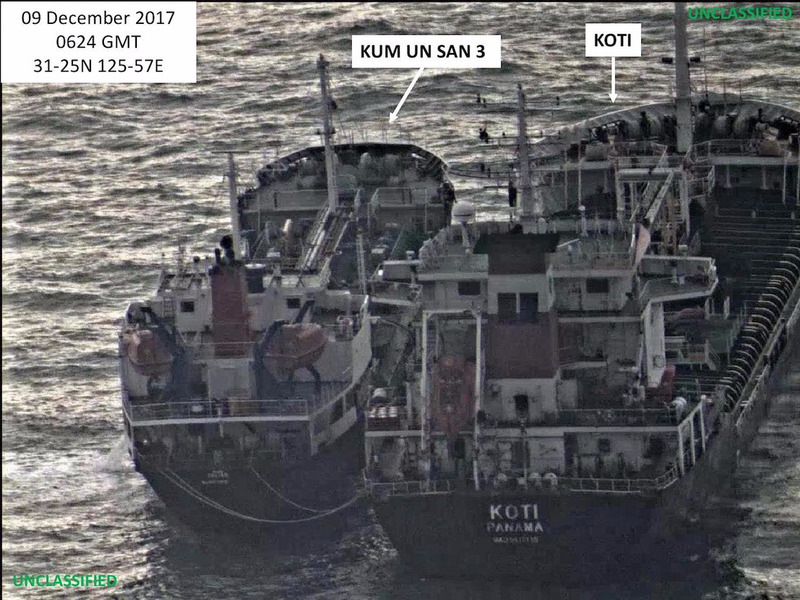 US Department of the TreasuryThe North Korean vessel KUM UN SAN 3 conducts a ship-to-ship transfer, possibly of oil, with the Panama-flagged KOTI in an effort to evade sanctions, December 9, 2017. China’s cooperation would be particularly important, as Donald Rauch, a US Navy Surface Warfare Officer and former Commanding Officer of USS Independence, recently argued in Foreign Policy. “Such a move would convince North Korea that its sole ally and biggest trading partner had reached the end of its strategic patience,” Rauch writes. However, the likelihood that China would be part of this kind of operation is low, given that China sees North Korea as a buffer between it and the West. Still, more aggressive maritime interdictions, conducted in cooperation with partners in the region, could help with sanctions enforcement and could possibly slow down North Korea’s nuclear and ICBM ambitions. “I’d imagine that you could supplement it with good satellite intelligence, good espionage in the countries that are receiving the materials, and intercepted communications,” Weitz said. Weitz also pointed out that North Korea will likely find another way to continue to get the materials and money it needs.